If you’ve been experiencing high energy bills and comfort issues in your business or home, you may need to have a home energy inspection. How helpful would it be if you could see exactly where the heating and cooling deficiencies are in your structure? 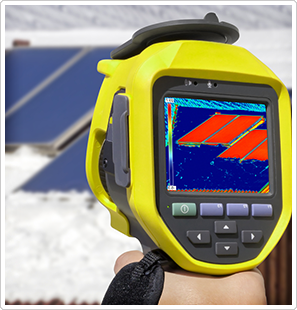 Luckily, our team provides thermal imaging to help show where your structure is missing insulation or where it is poorly installed. We can help you see things that wouldn’t normally be revealed by conventional methods. Our team uses high quality technology to detect damaged heating systems, broken seals on windows, plumbing leaks, roof leaks, electrical faults and much more. We will provide you will a full detailed explanation of our findings in a report that is extremely user-friendly. By working with us, you will have all the knowledge necessary to plan out your improvements and repairs with ease!